Adults lead busy and hectic lives. Personal time is a premium and it’s challenging enough to manage your own finances. But it can be stressful to joint manage you and your partner’s finances. 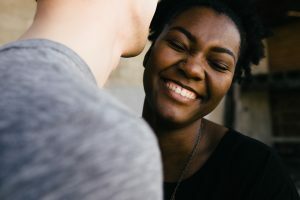 Just as it took time for you and your partner to develop a loving relationship, it will also take a little time to learn how to effectively manage your new joint budget. Below we discuss some tips on the best ways to manage your finances with your partner and where an Arizona title loan may help. There is no time like the present to plan ahead. It’s best to discuss financial plans before you even get married or move in with your spouse. If you haven’t yet, it’s wise to discuss with your spouse as soon as possible. List the different accounts you each have open, and also discuss how much debt you both have racked up. It’s also a good rule of thumb to set expectations with each other’s purchases. Will you discuss purchases over a certain amount, or will all purchases be independent and unsaid? Now’s the time for you and your partner to discuss your long-term financial goals. Where do you see yourselves 10 years down the road? 20? 30? What is your plan to get out of debt? What will your housing situation be? What are your retirement plans? Once you establish your goals, write them down, and make sure they are handy so you can revisit often. The more you visualize your goals, the better chance you achieve them. A big decision to make is whether to keep separate bank accounts or join them together. This decision really breaks down to personal preference. As a couple, will you discuss every purchase before you make it, or will you spend more independently? A joint account may be easier to track your spending and pay bills. On the other hand, certain institutions provide different perks, so you and your partner can take advantage by double dipping on perks with separate accounts. This is a big decision you and your partner will have to make. To avoid more debt, it’s best to create a budget to stick to. Begin by going over your joint expenses for the past few months to determine the amount you have been spending, then figure out if you will need to curb certain spending habits to meet all of your financial objectives you have discussed. It’s helpful to establish dollar limits for each category that you spend money on per month. Once you create your budget, you need to keep on top of tracking it as well. Make sure you are keeping within your budget. With time also comes financial change, so you will need to stay vigilant and make alterations as you go to keep up with those financial changes. With all that said, you can’t possibly prepare for everything that life will throw your way. If you and your partner ever need a quick cash infusion for an emergency situation, Tio Rico Te Ayuda is the Arizona area’s premier destination for a quick personal or Arizona title loan. Inquire with one of our specialist’s today to learn more.